Hi there, my darlings! Today, I'm very excited to present to you another collaboration between the lovely Sisi of Color4Nails and the fabulous Nicki of Celestial Cosmetics--the Electric You collection for Summer 2014! Now, Nicki makes fantastic polishes and Sisi carries the best the world has to offer so you KNOW this is a collection to die for! And I have lots of swatches for you, just in time for the launch later today! YAY! Before we get started, let's talk formula and application! 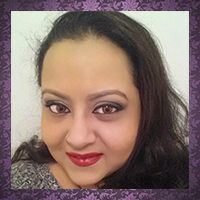 I've swatched tons of Celestial beauties while working with Sisi and across the board, her formulation is fabulous. This collection is no exception! These neon holos went on buttery smooth dried super quickly and had a shiny finish! They were opaque at 2 coats but I used 3 thin coats of each by itself to try to capture the true depth of color! What more could you ask for? Oh yes, and despite being super pigmented as neons are, they did not stain AT ALL. Nope. Not in the slightest. Alrighty then! NOW let's get to swatches! First, Adrenalin is a neon lime green polish with a linear holographic finish. So bright, so perfect for summer! Inception is my personal favorite--a bright, neon aqua blue polish with a linear holographic finish! LOVE! 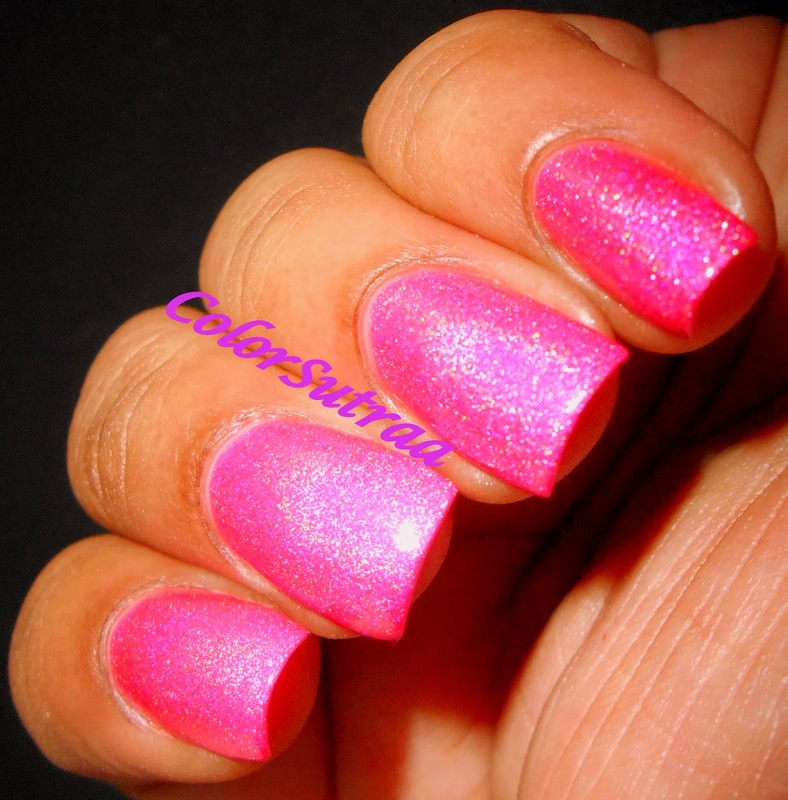 Merge a neon hot pink polish with a linear holographic finish. If you're like me and love your pinks, this is a must-have! Tantrum is a neon tangerine orange polish with a linear holographic finish. Love oranges? Then you're gonna love this one! Trip is a bright, citrus orange-yellow polish with a linear holographic finish. Such an unusual shade! Now, Sisi mentioned to me that these neons looked best over a white base, so I've also taken a couple of shots, without and with flash, to show you how they look over white! I, personally prefer them just layered by themselves but you be the judge! But wait! You may be wondering from my opening shot...wherever did the sixth polish go?? Well, it turns out Singularity, a bright purple polish with a linear holographic finish, was a prototype and didn't quite make the cut! However, if you're like me and love this polish, fear not! It will also be offered at the launch for a discounted price! See for yourself why I think this one's a must-have! So there you have it, my darlings! A gorgeous new collaboration collection from Celestial Cosmetics with Color4nails, launching TODAY, July 1st, 2014! 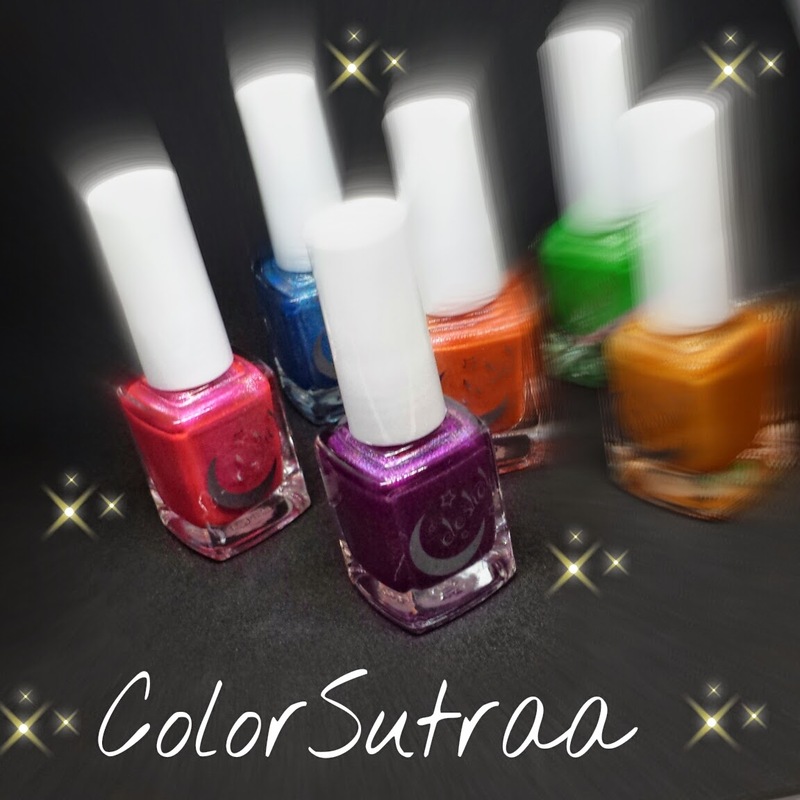 Remember these will be stocked EXCLUSIVELY at Color4Nails HERE for the price of $12.00 for a full-size, 12 mL bottle (Singularity will be offered at the discounted price of $8.00). Please follow Color4Nails on FACEBOOK and on INSTAGRAM for all the latest updates! If you are a lucky lady in Australia, you can check out Nicki's store HERE--shipping is exclusively within Australia! US and international ladies, Color4Nails can fulfil your ALL Celestial Cosmetics desires! Please follow Celestial Cosmetics on FACEBOOK and INSTAGRAM to see what other beauties Nicki has up her sleeve in the near future! Which of these are YOUR favorite? As always, I welcome your opinions in the comments section below!